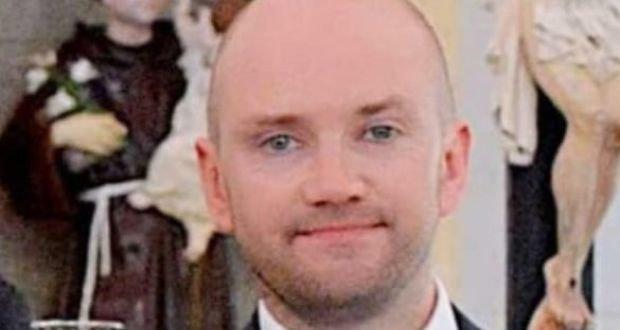 A coroner has called for more to be done to warn of the dangers of swimming in the sea on a night out after an Irish dad drowned during Storm Callum. Brighton and Hove assistant coroner Gilva Tisshaw said extra steps must be taken to make the public aware of the risks of going into the water after drinking or taking drugs as she ruled David Dooley's death an accident. Born in Dublin, Mr Dooley lived in Tullamore, Co Offaly, before moving to Chiswick, west London. He is survived by his wife Khrystyna and son Brandon. A post-mortem examination found he died from drowning, but "serious intoxication" was a contributing factor. Toxicology reports also showed he had traces of cocaine in his system. The police on the scene did not know where to find life rings which are stored along the beach - although at least two had been close by, resulting in delays in attempts to reach him. Experienced surfer and swimmer Chris Ingall, the council's seafront office manager, told the court a shingle bank had built up on the beach that night and there were "extremely powerful" crashing waves of up to three metres high hitting the shore every four to seven seconds, adding: "The sea is very unforgiving at the best of times." Sussex Police Sergeant Paul Nellis said he had "never seen the waves so bad" in his 10 years working for the police in the city, adding: "It was my honest opinion at the time that if anyone else had entered the sea, they would have been swept away." While Pc Anastasia Dart said she feared for the safety of officers after feeling "shocked at the momentum of the sea" and "surprised that the waves were so aggressive." Ms Tisshaw said: "I believe there was nothing further the police could have done." In making the report to prevent future deaths - where coroners can tell public bodies to take action, Ms Tisshaw said: "I believe steps should be taken to increase police awareness of the locations of life rings. Mr Dooley was one of two people to die as the storm wreaked devastation across western parts and coastal areas of the country that weekend. Corey Thomas Sharpling, 21, of Newcastle Emlyn, was killed near the village of Cwmduad in Carmarthenshire, west Wales, on the same day.